Paul Powers will once again be offering spring and summer clinics for 4 to 10 year olds. Under his tutelage the successful Mighty Duck Learn to Skate Program has helped hundreds of entry level skaters master the basics of proper skating techniques to the point where they can participate in this popular activity whether it is in their Local Youth Hockey Program, Figure Skating Program or just Recreational Skating for their own enjoyment. 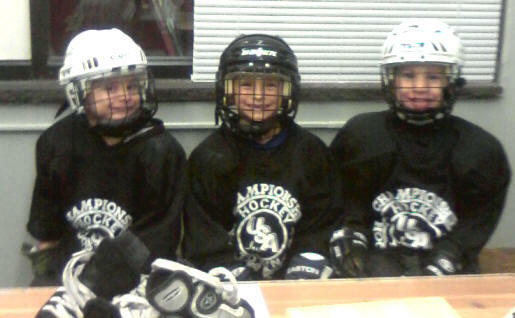 The confidence installed in these young skaters has proven invaluable to all who have participated in the Mighty Duck Program as well as the Spring and Summer Clinics as they move on to their chosen activity. After 25 years of helping young people overcome their fears, boost their confidence and channel their enthusiasm, coach Paul offers Spring & Summer Clinics for those who wish to continue their progress after their season has ended. Any missed clinics or games can only be made up in another clinic or game during that session. There will be no cash refunds for missed classes.